CY9C – Day 6, Log Dump Complete! WW2DX has been going crazy on 6m all day and is still going. If you’re looking for 6m, keep an ear open. Now that the winds have died down, we’re going to break out the LEO antennas and test the rotators that were blown over a couple of days ago. If everything works, we should be ready to get some satellite contacts by this evening. If/when everything checks out, I’ll post an update to my Twitter account. For those asking for RTTY – we blew the front ends on 2 K3S’s, which limits the stations we have capable of RTTY. I have a SignaLink in my field kit, and Pat has a digital interface of some kind, so I’m going to try to rig my station for RTTY and see if I can spend some more time on that mode. The low bands sounded like crap last night. I managed to pull about 60-70 QSOs from Europe on 80m starting at around 0400z, but the noise from the G1 storm was at S7 and the crashes went to S9+5 and I eventually went deaf. We’re going to try again tonight. 10m and 12m opened up today and we’re getting as many contacts on those bands as we can. Once I’m done this post and the log dump, I’m going to hop on 15m and sit there for a while. Gotta get back to work! vy 73 de VA3QR/CY9. One of the best DX-peditions in my 50+ years of DX’ing – u guys are awesome !! 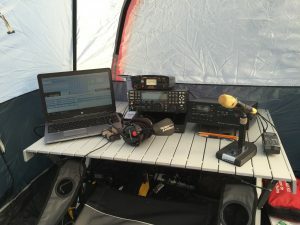 ps – sure hope u get the RTTY running –OR–JT65 ?? Thanks for the log update. Much needed and happy my Qs made it. It was great working 12m today. Don’t know how you managed that, but great work. Just a note on RTTY. Pls make sure to start in split mode right away, because otherwise it’s unworkable with everyone piling on. hi agn— you guys are doing a great job under the conditions some of the pileups are very loud and guys calling on you frequency I am sure you know. thanks for phn and cw on 60mtrs. best 73 frm NH. along with CW and SSB on a couple of other places. Could not hear you all on 6m, but will try and listen another day. Guys, stop the USA pileup from time to time. It is very heavy to break through from Europe a shaft of the usa stations.1 kwt and dipole 30m high – 3 hours calling – not QSO. USA wall… Also I listened to many bands – same a situation. Please, listen to Europe time to time. 73 and GL! Yes PLEASE Like Paul VK4MA asks, can we have vk/zl rtty on 30mx 0900-100z PLEASE. Thank you friend to receive my email, I hope all is well with you and family, I need a big help her please !!! …. I just saw my station confirmed the expedition LOG, however due to poor spread and very QRM place was very difficult to confirm the contact and did the note, but now I’m happy to be in the log, so please ask to kindly confirm to me release the data that you send the request QSL, because to me this statement is super important. My station is small, I have a Kenwood TS440S with 100 watts and a vertical multiband antenna. Thank friend to help me please, this is very important for me because it is a very important shipment and can not be without my confirmation, I hope you understand my situation and please help me !!! Great friendly hug and congratulations for organizing the event. 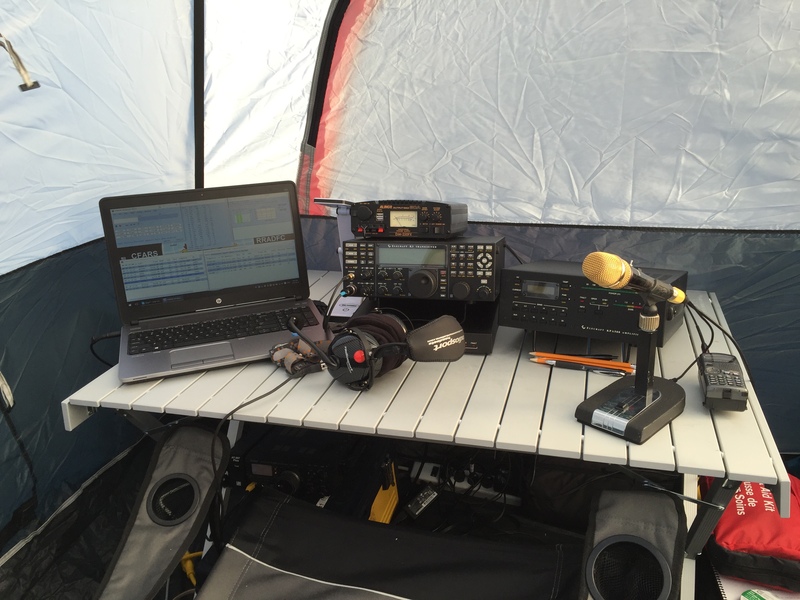 Great DXpedition! What was the cause(s) of all the K3 failures? Hopefully that will be determined by Elecraft – we’re curious as well. 73!